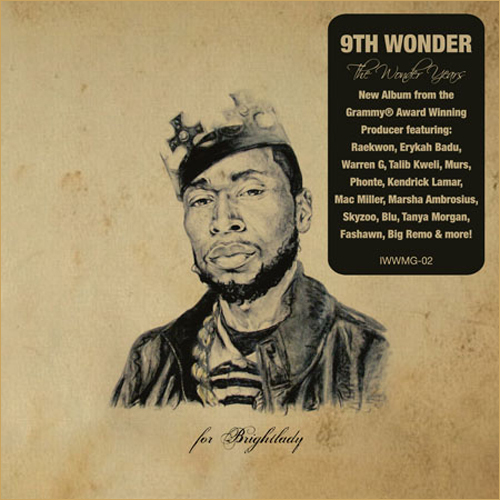 The Grammy Award-winning producer 9th Wonder has just re-released his latest album, The Wonder Years. On this album he works with a ton of notable artists: Mac Miller, Warren G, Murs, Kendrick Lamar, Phonte, Khrysis, Skyzoo, Fashawn, Terrace Martin, Talib Kweli, Raekwon, & Blu. After a full listen front to back, I was very impressed with this album. I did not dislike a single track, and one of the main reasons I think the album was so good, was due to the fact that he didn't work with world famous, mainstream artists. 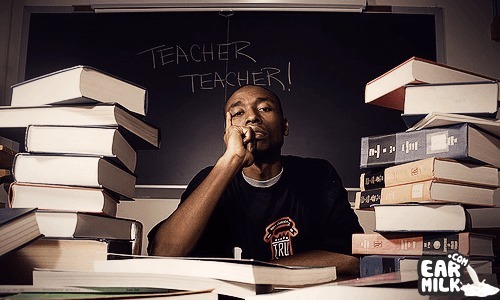 He works with a wide array of artists who are either on their way to stardom like Kendrick Lamar, Blu, Mac Miller, & Murs; and there are artists like Phonte, Skyzoo, Raekwon, & Talib Kweli who are all already famous, but aren't mainstream and still produce real music. This album is awesome and is worth a listen and/or purchase.